Like they say, with great technological advancement comes great power requirements. Batteries are one of the most important devices that we use everyday. Without it, most devices that we have, including our computers and smartphones, are basically useless. Today, some technology are being held back because of the battery; either it requires large power source or the battery is not suited for the design of the device. But alas, bendable batteries are here and is being developed by Panasonic. This batteries may be used for wearable tech devices and can be used to develop flexible smartphones.The bendable battery is made from lithium-ion. The downside to a lithium-ion battery is that it is highly volatile if they malfunction. This was the case with the phones today that tends to explode. Faulty batteries can catch fire when overcharged since the oxygen bubbles produced from overcharging can react to the metallic lithium that may lead to explosion. To try to counter this problem, the new bendable batteries are made from a newly developed laminated outer body and internal structure. 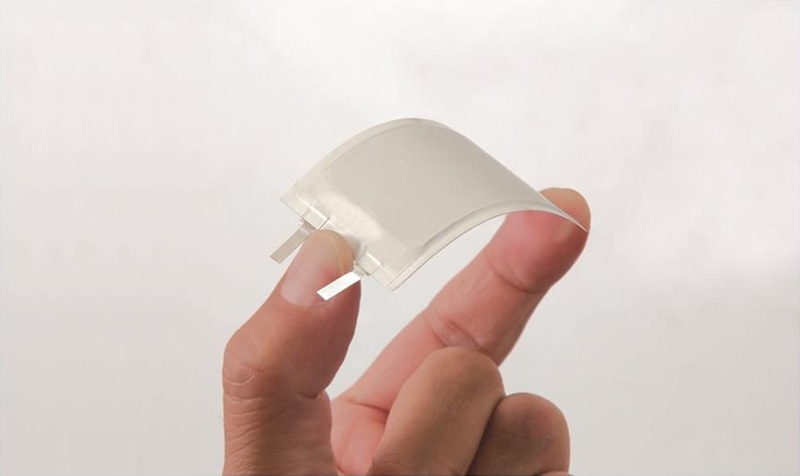 This makes the battery safer and more reliable for wearable technology.These batteries are still new and are in development so of course, the capacity of these bendable battery is very small. The smallest size the company developed can hold a charge of up to 17.5mAh and the largest can hold 60mAh. For comparison, most recent smartphone can hold up to 2000mAh. Although, this tech can already be used in low-power applications such as smart cards and the likes.Want to know more about this awesome device? Follow this link!